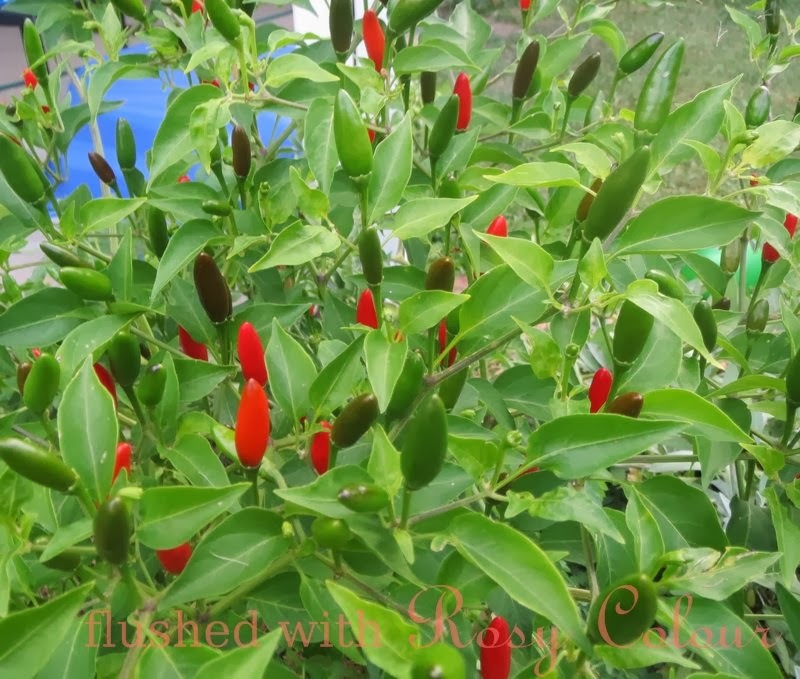 I wanted to share a picture of our chilli bush, which is covered with red and green fruit. It looks very Christmassy! We're thinking of extending our patio and this new herb garden which we only planted a few months ago is going to have to go. So we will be trying to transplant this chilli bush at a later date, hopefully it survives, because its looking very happy and healthy right now! Its only been in the ground for a couple of months and its amazing how much its grown.